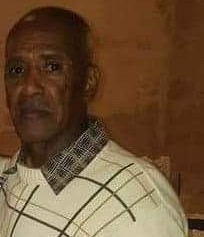 Austin J. Ross Jr., – 67, was called home on Friday, January 4, 2019. Born in New Orleans, LA, Austin graduated from Booker T. Washington High School in 1970. In 1971 he joined the Air Force and served in Vietnam. Left to cherish his memory are, his son, Paul Wesly from his union in marriage to Antoinette J. Ross; daughters: Vendetta M. and DeMyra R. Ross, (Nancy, Toni, Jonie, Charles, Iashia and LaQuante); grandsons: Elder Darvell A. and Demetris C. Ross; granddaughters: Kymberle R. Ross and TyVea J. Tyler; great-grandson: Eamon C. Ross; sisters: Gaielle Johnson, Yolanda Green (Calvin), Sharon Valentine (Octave), and Michelle Solomon (Rene); brothers: Keith (Stephanie) and Michael Ross; and a host of other relatives and friends. He was preceded in death by his parents, Geraldine Holtry Ross and Austin J. Ross Sr.; his sister, Carolyn Jones and his grandparents. Funeral services will be held on Saturday, January 19, 2019 at 10:00AM at True Hope Ministries, 1228 Cohen St, Marrero, LA. Visitation will be held from 9:00AM until the hour of service. Interment to follow at Southeast Louisiana Veterans Cemetery, Slidell, LA.